The 16th international conference of Nepal English Language Teachers’ Association (NELTA) was held on 18-20 February 2011 with the theme ” English in Multilingual and Cross-cultural Contexts: Exploring Opportunities and Meeting Challenges” at DAV Sushil Kedia Vishwa Bharati Higher Secondary School, Jawalakhel, Lalitpur for three days. Conference started with registration along with tea and snacks at 9 am. Master of the Ceremony (MC) Mr. Hemanta Raj Dahal, General Secretary, NELTA opened the session welcoming all the distinguished guests, media people and the participants from different NELTA branch of Nepal. Mr. Dahal invited Mr. Laxman Gnawali, Acting President, NELTA, Mr. Anil Kedia, Chairman, DAV Sushil Kedia Vishwa Bharati Higher Secondary School, Honorable Prof. Dr. Tirth Raj Khaniya, Member of National Planning Commission, Founding President of NELTA, Prof. Dr. Jai Raj Awasthi, Chair of Subject Committee, Faculty of Education , Department of English Education, TU, Past President and Advisor of NELTA Journal, Prof. Dr. Abhi Subedi, Prof. Dr. John F Fanselow, Columbia University, USA, Key Speaker for NELTA conference, Prof. Dr. Adrian Holliday, Canterbury Christ Church University, UK, Amanda Jacobsen, Cultural Affairs Officer, US Embassy, Mr. Fife Macduff, Regional English Language Fellow (RELO), US Embassy, Kathmandu, Dr. Robert Monro, Director, British Council, Kathmandu, Ms. Joelle Uzarski, RELO, New Delhi, Ms. Maya Rai, Deputy Director, NCED and Ewan Davis, Examination Center Manager, British Council on dais. Mr Kedia welcomed all the distinguished guests and the participants. He thanked NELTA from his core of heart for providing them opportunity to offer venue for the conference. He said that without the pressure from NELTA, they would not able to complete the conference hall on time. He pointed out that the students of new generation feel hidden values of English language with western mind. The theme of the conference ‘multilingual’ is really challenging. He added DAV school is also on that line, it does not only teach English language but also teach German, Hindi, Sanskrit, Nepali, etc at their school. These all are different facets of language. He praised NELTA for its development of 17 consecutive years with 30 branches where professionals are working voluntarily and he said it is a coincidence that DAV School has also the same experiences of years. They all are the real champion of the whole years of hardworking not only of the work of one day. In Nepal also English language has become essential as lingua-franca to explore outside world. Therefore, based on need of new generation, NELTA has been working. Mr. Kedia hoped that NELTA will provide all of them a professional platform to build their career and future. By saying this, he concluded his speech. Presenting Bouquet an Conference Kits: Ms. Bhuwaneshwori Rao, Principal, DAV Sushil Kedia Vishwa Bharati Higher Secondary School presented bouquet and conference kits to all distinguished guests. Prof. Dr. Tirth Raj Khaniya, Member of National Planning Commission, Founding President of NELTA, Prof. Dr. Jai Raj Awasthi, Chair of Subject Committee, Faculty of Education , Department of English Education, TU, Past President and Advisor of NELTA Journal, Mr. Anil Kedia, Chairman, DAV Sushil Kedia Vishwa Bharati Higher Secondary School, Honorable Prof. Dr. Abhi Subedi, Prof. Dr. John F Fanselow, Columbia University, USA, Key Speaker for NELTA conference, Prof. Dr. Adrian Holliday, Canterbury Christ Church University, UK, Amanda Jacobsen, Cultural Affairs Officer, US Embassy, Mr. Fife Macduff, Regional English Language Fellow (RELO), US Embassy, Kathmandu, Dr. Robert Monro, Director, British Council, Kathmandu, Ms. Joelle Uzarski, RELO, New Delhi, Ms. Maya Rai, Deputy Director, NCED and Ewan Davis, Examination Center Manager, British Council and Mr. Laxman Gnawali, Acting President, NELTA. We partnered with British Council to implement the English for Teaching and Teaching for English (ETTE) project at the branch level. A cadre of NELTA trainers have received training from the British Council. They will cascade it in different parts of the country. The NELTA participants of the British Council’s Learning Centre training now receive joint certificates signed by the NELTA and the British Council. The British Council and NELTA are now working out how we can collaborate in teacher and learner support activities such as the Global products. The NELTA journal is peer reviewed and has the ISSN number. The credit for this goes to the highly dedicated editorial team led by Prof. Awasthi. NELTAchautari is a different versions of NELTA forum; Prem Phyak, Ghanshyam Sharma, Bal Krishna Sharma, Sajan Karna, Kamal Poudel and Hem Raj Kafle work to make it resourceful and user-friendly coordinating from places of varying clock times. The yahoogroup have been excellent forums for our members to connect themselves with the global ELT. Please log on to these sites and enrich yourself through mutual sharing. Though achievements have been made, there are opportunities and challenges ahead. NELTA should continue the projects that it has initiated and we need to create more space for collaboration with the key ELT stakeholders. Consolidation and capacity building of the branches should remain the top priority and the implementation of the ELT survey project should be our main target for next year. In order to accomplish these ambitious targets, we need your active participation and cooperation from all the sectors including the government. I am sure if we are together we can achieve what we aim. This conference marks the historic one with more than 150 speakers from more than 17 countries. I would like to welcome the two key speakers Prof. Adrian Holliday and Prof. John Fanselow, plenary Brian Tomlinson, Sheilagh Nelson speakers and the presenters including the representatives of our neighbouring ELT organisations like SPELT, BELTA, SLELTA, ELTAI and all the participants from home and abroad. On behalf of NELTA, I would like to express my gratitude to you all for accepting our invitation. I wish all the participants and experts to have fruitful deliberations. I also wish the foreign and out of valley participants a pleasant stay in Kathmandu. Please bear with us for any discomforts you may suffer. Finally, in order to make this conference happen, DAV Sushil Kedia Vishwa Bharati Higher Secondary School has given us a great support without which we would not have been able to carry it out so smoothly. Thank you DAV team. Similarly, for the last few months, NELTA colleagues have worked day and night. I sincerely acknowledge their voluntary contributions and I truly feel that they deserve the credit of the success of this conference. Dr. Khaniya welcomed all the participants and said he thinks he did a good job in the past when he recalls about NELTA’s work. However, comparing of today they still have to do more in the field of English language teaching. He became nostalgic and said he always feels proud every time when he comes to the inaugural session of the conference. He said NELTA has developed a certain kind of status, which is really praise worthy. Then he urged NELTA people to come with a good proposal to work with National Planning Commission. It has been more than a decade NELTA has been working in the field of English language for its betterment. Then he thanked Mr. Kedia and showed his appreciation for providing venue to NELTA also thanked Little Angles’ School for providing venue last year. He reminded them if the new committee formed, they would have to give first priority to the government and the partners to work in future. In the last, he wished grand success of the conference and betterment of the institution. Prof. Dr. Jai Raj Awasthi welcomed all and expressed his emotional attachment with NELTA. He recalled David Poteinger who was together with him to begin the journey of NELTA. At that time members had faced many difficulties at the initial phase. Today looking at the big mass of 30 branches of NELTA all over Nepal, he feels proud. Therefore, they have to be serious to face all the challenges and have to take care of NELTA. Prof. reminded what he had said in the last conference, he was young when he started but now he has become old, now young generation has to lead NELTA. He stated that country is going to adopt federal system in future, so, NELTA has to think about opening the regional branches considering this in future. He suggested having regional offices in different parts of Nepal. He acknowledged the assistance given by the BC, the US Embassy and thanked the Cambridge University Press, Routledge for providing books in cheaper prices and accessible. He did not forget to mention the book written by Adrian Holliday and informed them if they want they can get the book from the stall down in the book exhibition, which is another milestone of his publication in ELT. Prof. became nostalgic and shared with them about his meeting with Adrian 15 years ago. He requested them whoever think to join NELTA committee, they have to think about their dedication and work and what they can contribute to NELTA but who comes only to occupy post it will not work. He emphasized on NELTA must work institutionally and he wished great success of the conference. Prof. Dr. Abhi Subedi welcomed all and compared NELTA conference with the Constituent Assembly. He said though the country is facing many problems; political social and economic, NELTA is going on. It is an area or domain for the teachers to work. Talking positively about NELTA he said if people are willing to work with emotion of power they are associated with NELTA. He said as an English teacher, he has remained same whereas NELTA has grown up and has become stronger. When they see NELTA how it is evolved, out of the dedication of the people, it is a historical process developing continuously. If they look at the society and other field in Nepal today, they will find English is growing, not the native English speakers but Nepali speakers they find everywhere speaking English. NELTA has created those types of people who are very powerful. Language is a means; if they do not follow the proper pronunciation, other will not perceive them properly. NELTA is responsible for creating those people capable of speaking English language as native speakers. Dr. Robert Monro welcomed all and mentioned about Sheela Nelson who came to Nepal in 1992 to work in the field of teaching, especially in the area of ELT. Dr. Robert acknowledged that he is not an ELT expert but he knew the value of ELT. He congratulated NELTA for working on this filed all the time conducting workshops, conference and trainings. He was glad that the British Council people have been involved in this field from the beginning. He assured them they are not promoting or only talking about English, he is talking about the interest and need of the people today. He said that English language do not bond person to person but it bonds all the language teachers in one. They have to recognize English language as the global, internet- language that opens global opportunity for all. If the young people of Nepal do not speak English, they will be deprived from opportunities. He mentioned that BC has developed digital English language programme and is interested to launch it through NELTA . He liked the idea about NELTA with three ‘ships’ and like to add one ‘ ship’ that is leadership. The future generation will bring this into practice through the means of English language. Mr. MacDuff thanked DAV school for providing the venue and all the co-sponsors. He also thanked all the participants from home and abroad who came to participate in the 16th international conference. He stressed on “global-English.” He said English language is no more common English, it has become a globe English. Practice of English has no longer remained as spoken English that speaks in Britain and America; it has evolved as the global English. He mentioned the importance of English for the development of people, which gives an access and opens the door of opportunity. He mentioned about the Access Programme for less-privileged children, English Teaching Programmes, English Language Fellow are there to provide an opportunity to people here to learn English language. NELTA has a great purpose to improve English and to improve ability of the teachers. Ms. Maya Rai welcomed all and thanked for being invited. She said teachers have grown old, above old they have become very wise. Though 3000 plus members are there but all did not come to participate here. NELTA has reached at the stage where it cannot afford to make mistakes. They will share their success stories not to make mistakes, NELTA is not political institution, politics is a dirty game. She talked about partners and about ‘attic programme’. which is going to be held in future. She thanked all for being here. Mr. Dahal thanked Prof. Fanselaw and invited representatives from different branches to release their NELTA journals, publication through the distinguished guests and thanked all the guests and participants for their support to make this inaugural session a huge success. Mr. Dahal declared closing of inaugural session. Prof. Dr. Adrian Holliday supervises doctoral research in the critical sociology of language education and inter cultural communication. He is also the head of the Graduate School and Research Office ,an author of Appropriate Methodology and Social Context ,Intercultural Communication and Ideology, Doing and Writing Qualitative Research , The Struggle To Teach English as International Language and the co-author of Intercultural Communication. He was also involved in national university curriculum project in Egypt. His key note address was based on theme of 16th international conference “English Multilingual and Cross-cultural context :Exploring opportunities and Meeting challenges”. He began the speech with exploration of relationship between culture and language ,with particular reference to the ability ,English as a world language to embrace diverse cultural realities .Mainly he spoke on four topics –native speaker’s fallacies , issues for the classroom , communicative approach of English ,teacher’s and students’ lessons . According o his experience in Iran, many words are borrowed from Farsi to English. Sometimes new expressions are used in language, which is completely alien to native speakers. He also expressed that there are varieties of English for example Indian English , Canadian English, Australian English ,Nigerian English and others, so English has no boundaries. He also talked about code–switching in conversation between Arabic and English, which is full of local cultures. According to him, there is a massive literature growth in English. He mentioned that English language is transforming into less complex making it much easier and often adopted as a brand. He also focused on issues of English teaching in classroom; the rules for correctness, and how to capitalize, how to manage multicultural and multilingual experiences of the students in the classroom. Another area he focused on was how to educate students about the nature of English and of language and society. Prof. Dr. Fanselow is the president of the International Pacific College and international residential degree granting institution of Palmerston North, New Zealand . He holds a PhD from teacher’s college ,Columbia University where he is a Professor Emeritus. His presentation was based on range of activities , he asked each person to write beliefs about learning each activity illustrates ,their reactions to the activities and the consequences of each experience . He believes on doing more in teacher participation programmes. He told them with the help of simple sketches, he made the participants to write simple sentences. He also gave abstract words to guess the meaning and to write the actual words through sketches. He commented on the relevance of the line “read quickly and answer the question “ of a Nepali text book and got different reactions from the participants. According to him, if students read fast they would not be able to memorize the words and pronounce them correctly, that will be simply reading. He also gave an example of teachers who make students to underline difficult words. Prof. said it is better not to teach the words than to underline and explain them instead he suggests making students draw the pictures of these words on their own and understand them. He is completely against teaching grammar, explaining vocabulary and making lesson plans. He said it would be better to ask students what they want to learn before teachers start to teach in the classroom. First of all, let me allow to congratulate you for your contribution. NELTA is extremely grateful to Gandaki Higher Secondary Boarding School (GBS) Pokhara for allowing us to use the space and the facilities to convene the 16th international conference of NELTA in Pokhara. I would like to thank all presenters and participants without whom this conference would not have been a success. We are indebted to the American Embassy and British Council for sponsoring the key speakers Professor Dr John Fanselow and Professor Dr Adrian Holliday respectively and to Ministry of Education for its moral support. The RELO office in the US Embassy deserves our special thanks for bringing English Language Fellows from the region and Fulbright Commission for bringing more than 30 English Language Teaching Assistants (ETAS) for the conferences. The publishing houses Cambridge University Press for sponsoring two plenary speakers – one in Kathmandu and another in Pokhara and the conference bags and stationery items, Oxford University Press for printing the NELTA Journal and Routledge for printing the proceedings of 15th international conference deserve our special thanks. Thanks are also due to local publishing houses, media, Nepal Tourism Board, local bodies and other institutions and individuals who showed their generosity to contribute towards this conference. This conference has aroused many curiosities among the English language-teaching professionals on numerous issues. First, Professor John Fanselow’s presentations have been so much striking in the sense if we should teach the learners of English or enable the learners to use English. Professor Adriann Holliday’s presentations reveal the mind of many people from multilingual and cross-cultural horizons of expectations, which are instrumental for us to explore opportunities and meeting challenges. He also focused on new grammar of culture with an emphasis on global positioning and cultural politics. This will have implications on ranges of the current trends in ELT from curriculum development, to textbooks writing to classroom practices. Professor Brian Tomlinson’s notion of seeing images in the minds of the readers and how the readers experience while reading a text, has become insightful. He reiterated the contrast between the use of visualisation and the inner voice when using the first language with how typically becoming fail for making use of them as learners of the second language. He stressed on the need for our students to become more effective and users of English by encouraging their use of visualisation and the inner voices. Professor Jai Raj Awasthi revealed true absence of mono-lingualism but dominance of multi-lingualism. He emphasised on the people’s perception of the spread of English to threaten the indigenous languages spoken in the developing countries. However, despite such status, English has been spreading globally. This has given insight to explore how multi-linguialism could better integrate in English language development. The issue of becoming creative and even more creative by Prem Phyak has now given a counter to the so-called pedagogical principles and practices because the presentation has encroached the boundary of other disciplines such as sociology, democracy, human rights, psychology, philosophy, cultural studies, etc. These papers have seriously raised the scope of content based syllabus. Dr Laxmi Bahadur Maharjan referred back how his students would mispronounce the words the words such as important, pronunciation, bury, plan, January, February, etc. He also referred what Sajan Karn proposed the need of authentic teachers. Who to blame? He emphasized on the need of intelligibility with regard to the English language pronunciation. Professor Rajeevan Karal has rightly raised the issue if it would be justice for the learners to introduce to learn English within standardized curriculum, linearity (pizza model) and standardized test. It means why should all the learners be based on generic syllabus despite their diverse identity, aptitude and motivation. Professor Karal emphasised on the needs to link learning of English with their desire to pursue a career and the opportunities available to them. Moreover, the teachers of English have been struggling to satisfy themselves for choosing the variety of English – British or American. However, he shaped the way for learning of English that is intelligible globally. Learning materials and learning opportunities are being scaled up day by day. This is the time to use such learning opportunities. Professor Karal encouraged us to find simpler ways for teaching English. Therefore, now is the time to justify the heuristic implications of what we have begun to advocate in the different ELT forums. Does our vocation have matches between what we preach and what we practice? The presentations in the 16th international conference of NELTA in Kathmandu and Pokhara both have handed us over a great responsibility for shaping the way we practice English inside the classroom and beyond. I am sure, while doing so, not only every teacher of English will have increased responsibility to enhance quality of English through the classroom pedagogy but the syllabus designers, textbooks and materials writers and even the parents and students. We have had enormous discourse in 5 days in Kathmandu and Pokhara between 18th and 23rd February 2011. So, what…? 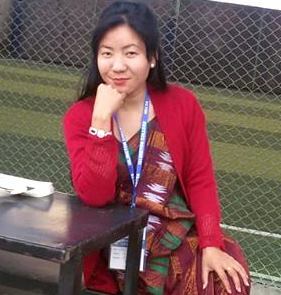 Thanks God – Dr Maharjan has given tips: don’t rush – remain slow and clear than be quick. The linguistic diversity and diverse features of such diversity are inevitable resulting in varieties of English and its implications on materials and methods. We perfectly understand what a classroom teacher can do what s/he cannot do? This is the time to practice what we have learnt. I believe, the 16th international conference has become insightful to us for doing justice to our learners.